On the eastern edge of the Plaza de Mayo, looking down across the smart new architecture of the Puerto Madero, stands one of Buenos Aires most beautiful and famous buildings – La Casa Rosada or the Pink House. La casa Rosada was built during the 1868 to 1874 presidency of Domingo F. Sarmiento, on the site of the 18th century Fuerte Viejo, the original Fort of Buenos Aires, overlooking the Rio Plata. But after almost a century and a half of land reclamation and building La Casa Rosado stands more than a kilometre from the sea. 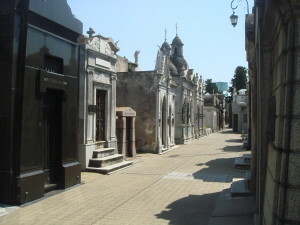 Its striking pink colour, it is said, was Domingo Sarmiento’s attempt to bring peace to Argentina by blending the red of the Federalists with the white of their rivals, the Unitarists. From the balconies that face the Plaza de Mayo, many famous Argentine leaders, including Juan and Eva Peron, have preached to their public. It was also from the balcony of La Casa Rosada, that Madonna, playing Eva Peron in the film Evita, delivered her unforgettable rendition of Don’t Cry For Me Argentina. Like Argentina, La Casa Rosada has lived through hard times. In 1955, at the time of the Revolucion Libertadora which ousted Juan Peron, it came under fire from the navy. During the Military Regime of 1976 to 1983, it was sinister, secret place, out of bounds to all but government officials. 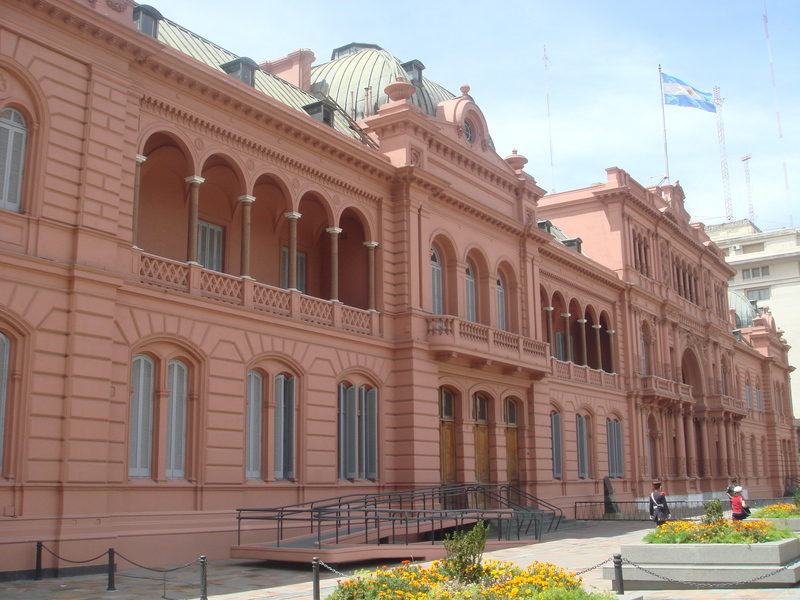 These days, la Casa Rosada is open to the public, but bookings and photo ID are essential.